… and hello! Just taking a break from my tiger mum duties to tell you about the Marks & Spencer biryani. Not now, not tomorrow, not EVER – unless of course you can persuade them to change the recipe. I can’t even begin to articulate the problems with it : suffice to say that it tasted like it was full of curry powder. Bye for now – must rush. But there is so much to tell you about – I might have stopped blogging about biryanis but I am still eating them! Next time we meet, I will tell you about Darjeeling Express and her dum biryani. 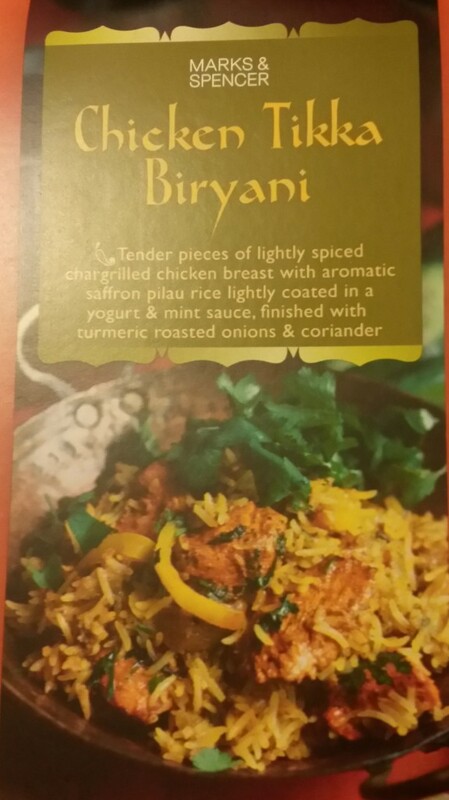 This entry was posted in Biryani and tagged biryani, chicken biryani, Indian food, Indian takeaway, marks, marks & spencer by Poornima. Bookmark the permalink.